Let me start with my progress of the Bolero jacket. At midnight last night I was sitting in my chair, proudly looking at the jacket hanging on the dress form, and then I noticed it. The left sleeve looked twisted. It just didn’t hang right. 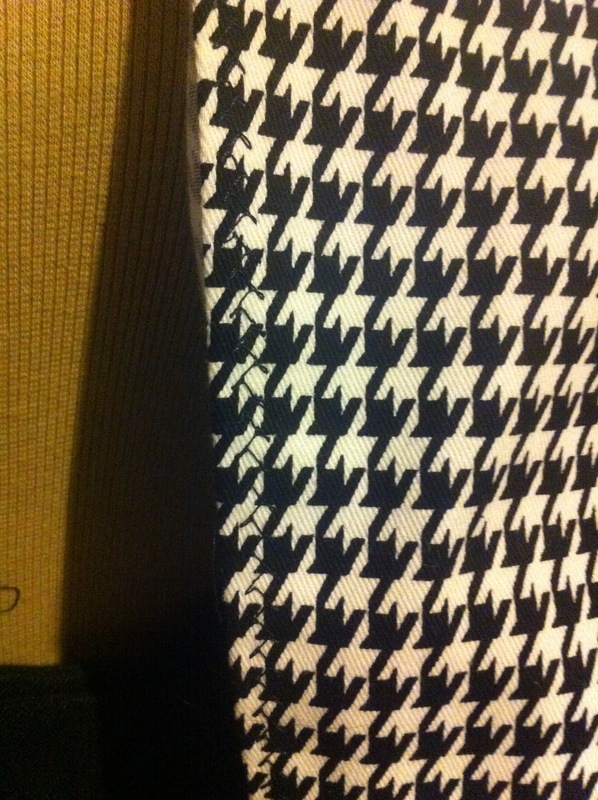 I knew that it was sewn into the right armhole, because the other sleeve looked perfect. What had happened? I made the decision that I would find the problem tomorrow and off to bed I went. But I laid there, that sleeve haunting me, all I could think of is what had gone wrong, was I going to have to cut another sleeve, did I have enough fabric to do that, all those seams had to be ripped out, and I knew that i was not going to sleep until I solved this problem. I got up, ripped the seams out and reset the sleeve back into the armhole and it looks so much better. Did I find out what caused it? Nope and at 2:00 in the morning I did not care, I just knew I could now fall asleep. Today I began the session at the sewing machine working on the bodice and neck facings, carefully pressing under the seams so I could get a clean finish on the exposed edge. 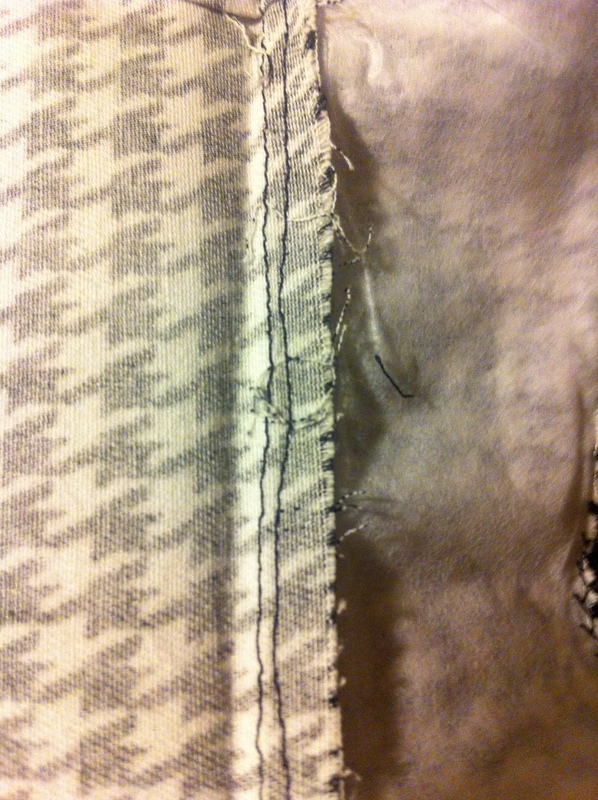 Deciding to use a fagot stitch, one of those fancy stitches my machine offered, I set off to sew. And then it hit me, what was I doing, this is not the side that was suppose to be done and unfortunately I did not discover this until I had almost completed one on the bodice facings. 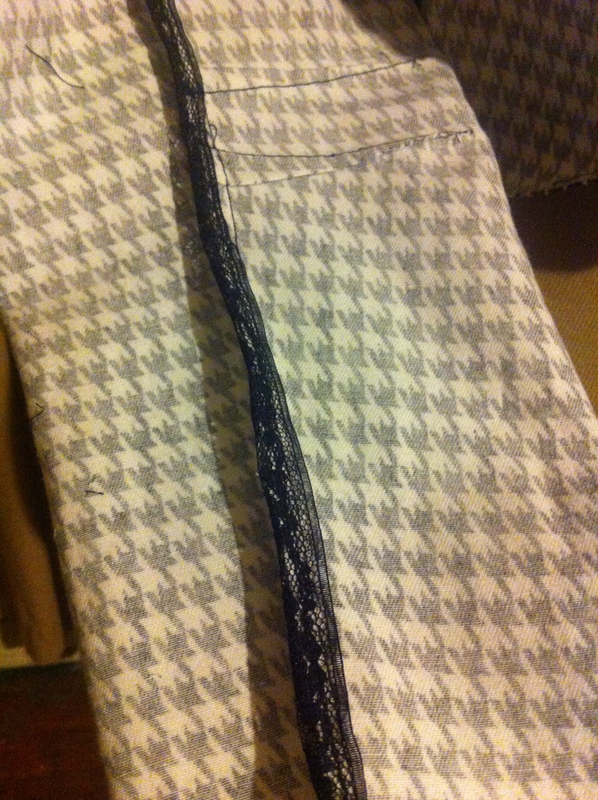 Now If I used a simple straight stitch the task of ripping seams would not have been hard but no…. I had used a stitch that now took me almost an hour to rip out. 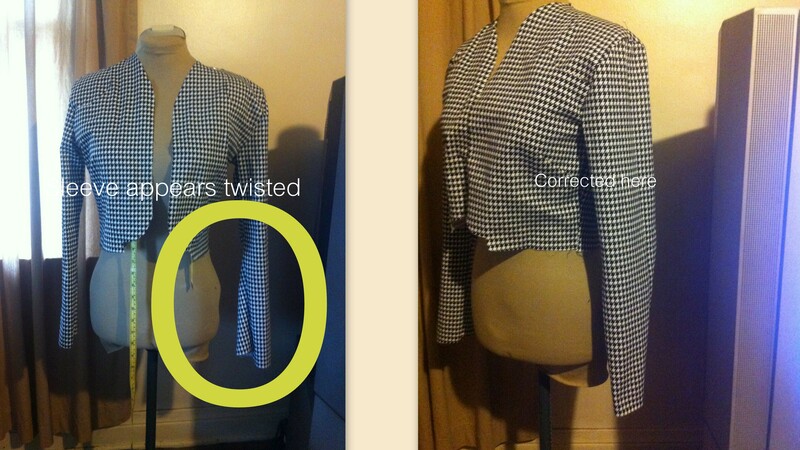 Since I am not top stitching this jacket I decided that I would stitch the seam allowance to the bodice facing. This will help keep the bodice from turning while washing or wearing. I began the daunting task of cleaning up all of the exposed seams. I know that the vintage way would have been to use pinking shears. I used lace seam tape instead to make sure everything was as neat on the inside as it was the out. At this point I wish I had just lined the jacket after all. But I am in it so deep there is no going back. 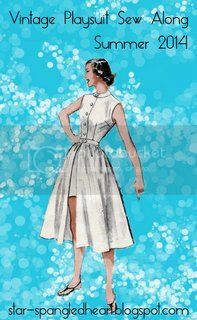 I still have several seams to cover, the hem on the jacket itself along with the sleeves as well as the hem on the skirt. But the end is near, I can see the light at the end of the tunnel. Each year, World Book Night is celebrated around the world on April 23. World Book Night was the product of a round table discussion at London’s Book Industry Conference in May 2010, the purpose of which was to imagine a way to encourage more adults to read. 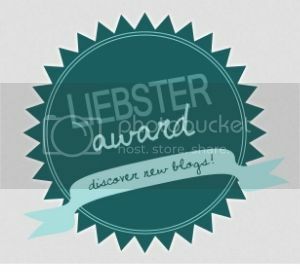 What better way to spread a love for reading than to inspire passionate readers to go out into their communities and share copies of their favorite books with those who don’t regularly read? Giving is an incredibly powerful part of our culture—and culture, art, and a writers’ talent are all themselves ‘gifts’. World Book Night was first celebrated in the UK and Ireland in 2011; in 2012, it was also celebrated in the USA and Germany. For the last three years I, along with my closest 24,999 other volunteers in the US, has been selected to participate in this wonderful opportunity. I have always loved books, the feel of the paper in your hand, the smell of the pages as you turn them, the ability to travel the world and experience incredible things without ever leaving your bed or comfortable arm chair and to be able to give the gift of reading is simply amazing. 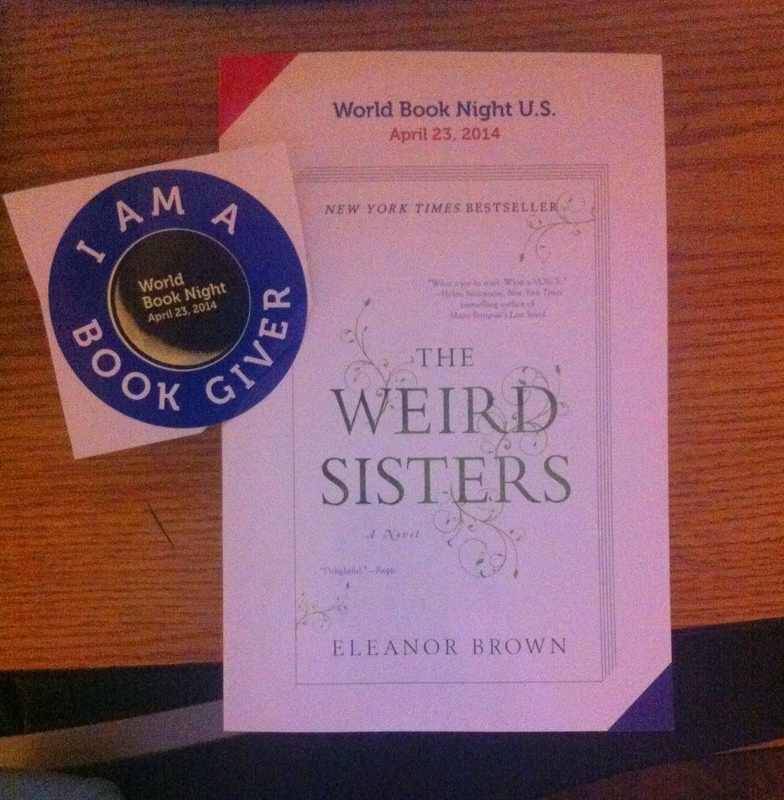 My select this year is Eleanor Brown’s ‘The Weird Sisters‘. It is a tale of three sisters return to their family home, bringing with them secrets, having nothing in common and how they learn that they love each other. What a great read! 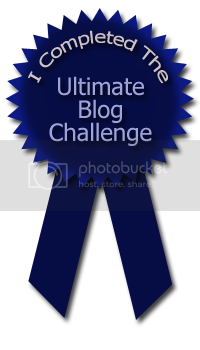 If you are interested in participating next year and give the gift of reading I have provided links below.